Lamb shanks are a delicious cut of meat and when slowly cooked, they become tender, moist and delicious. This recipe combines shallots, garlic, lamb, figs, honey and molasses to create a deliciously sweet and decadent lamb dish. Serve with mashed potato. Preheat the oven to 220C. Place the lamb shanks into a deep roasting tin and roast for 25 minutes to brown them all over. Remove from the oven and turn the heat down to 160C. Finely dice the shallots and mince the garlic cloves. Heat the oil in a large frying pan and fry the onions for five minutes until browned. Stir in the garlic, rosemary, bay leaves and tomatoes and cook for one more minute. Pour the mixture into the bottom of the roasting tin that you cooked the lamb in and then place the lamb shanks on top of the tomato mixture. Stir the honey and molasses into the lamb stock and then pour it over the lamb. Bring to the boil and then cover with a tight fitting lid and cook for 45 minutes. 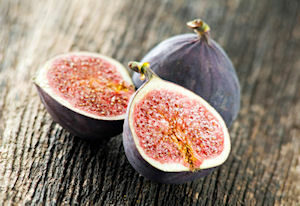 Stir in the figs and then put the casserole back into the oven for another 45 minutes. The lamb should be very tender. If not, return to the oven until tender. To serve the lamb, remove it from the bone, tear apart and then stir in with the tomatoes and vegetables to spoon over mash or rice. This recipe serves four people.